The attorney general said Saudi Arabia had twice submitted formal requests for evidence from Turkey but had received no response. Saudi Arabia had twice submitted formal requests for evidence from Turkey -- where Khashoggi was murdered inside the kingdom's Istanbul consulate on October 2 -- but had received no response, the statement added. The names of the defendants have not been officially released. Five top officials in Saudi Arabia -- including royal court insider Saud al-Qahtani -- were sacked over the Khashoggi murder, but there is no proof they are among those charged. 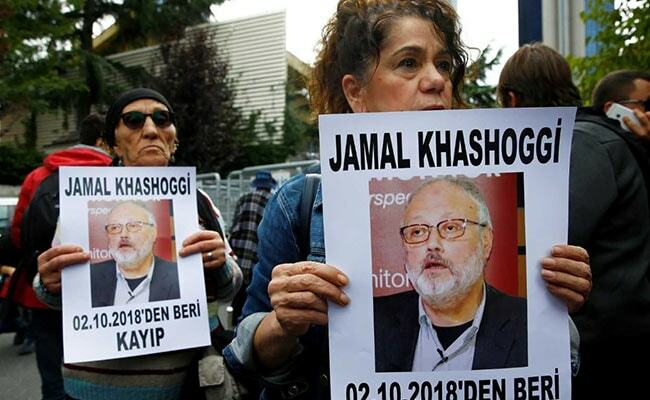 Khashoggi, a contributor to the Washington Post, was murdered in what Riyadh called a "rogue" operation, tipping the kingdom into one of its worst diplomatic crises. The US Central Intelligence Agency has reportedly concluded that Prince Mohammed very likely ordered Khashoggi's murder. A bipartisan resolution approved by the US Senate last month held the crown prince responsible for the killing. It was unclear whether Qahtani and Ahmad al-Assiri, two senior aides to Prince Mohammed initially implicated in Khashoggi's murder, were among those on trial. Saudi officials said in November that Qahtani -- who has not spoken publicly since then -- had been banned from travel pending the investigation but authorities have refused to disclose his whereabouts. "It is clear that elements from high levels of the Saudi state were involved in Khashoggi's murder," H.A. Hellyer, senior associate fellow at the Royal United Services Institute, told AFP. "There is an immense amount of international interest in this trial, but also a lot of suspicion about whether those ultimately responsible for the crime will be held to account."